Email marketing has not lost its shine just yet. It is re-shaping itself, becoming more intelligent, getting mostly automated, and emerging as a nice little 'responsive' and 'creative' marketing tool for brands. Here are six sure shot ways of getting it to work for you. The subject line in an email that you send out is the most important part of the communication. It's the first thing that someone sees, and often it is the last thing, unless, of course you get subject line marketing done right. First impressions count, and you better find ways to make that impression be attractive and effective enough for your email to be actually opened, to be read, and then clicked through to the desired action you want. Keep your subject line short and make it effective. Every word counts, so use them wisely, spend time on this. Rule of thumb: around 50-60 characters, tops. Minimize to maximise the chances of the mail being opened. Get to the point. Being honest, being precise is key. Remember to be clear on what the email is really about. State the offer. Define your goal for the mail out, and stick to achieving that goal. Make the benefit absolutely clear in your subject line. How will the recipient actually benefit by opening and reading your mail? Why should they believe you? Use numbers, use value. "Increase your readership by 50% today" works better than "Better readership for blogs". Stick to what you promised in the Subject line. Deliver on that singular promise rather than cram in everything into one email. You'll confuse the recipient. Remember that email is actually a simple form of content marketing. Content marketing, when done right, is about giving something away – for free – sharing something with your audience that is useful and valuable for them. That's how you create an experience that your target audience will enjoy, benefit from, and look forward for more. 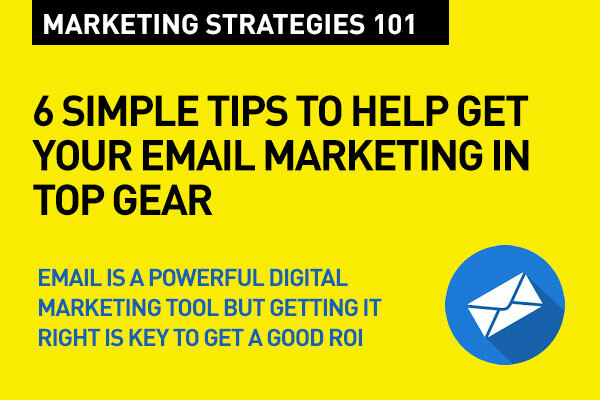 Make sure your email delivers value for your audience. Few marketers segment their audiences when sending emails. Sending emails to the entire database asking them to buy in general is a mistake. Instead, a more effective strategy is segmenting by customer interests when they sign up for more information, or from what you know their interests are on your website, for example. As in any aspect of digital marketing, Customer or Consumer Insights is your First Step in Digital Marketing with any emails you send out as part of your marketing effort. Find out, segment, and hyper target. There's no point of investing in lead generation if you don’t do anything with the information. If someone visits your website for the first time, you can’t always assume they will buy. Instead, it’s your job to follow up. You can do this with email automation such as cart abandonments, up-sell recommendations or customer surveys. Today's savvy consumer is most likely to open your email on mobile. It's a given that we need to go responsive asap. It's not an easy one step process, because one needs to create and develop simplified responsive templates. But once that's done, it's really about making it a habit. Usually, a good developer will develop dynamic modules that will deliver auto-adjust mails across all platforms – tablets inclusive. Be prepared to send emails to your customers and audiences without sticking to a pattern. Your marketing (email) team needs to be agile. Customers and target audiences need to get that email when they are interested, not every month-end. It is so simple. 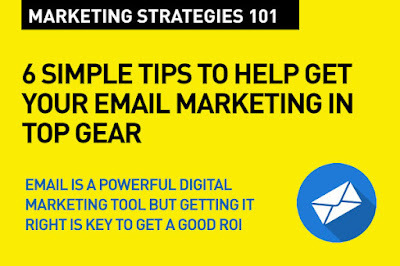 Email marketing is a powerful medium that can really boost your marketing efforts when used to its full potential. Monitor your email content, and follow the tips above. It doesn’t matter how good your products are if your customers unsubscribe. Worth saying words are provided which is most helpful to get an technical ideas by an email marketing.